Business got a whole lot more interesting this week for burgeoning media companies who are just starting to make money from their nascent online video efforts. Brightcove is excited to announce that Video Cloud Express now has a built-in integration with both DoubleClick's DFP Small Business as well as Open X, allowing Video Cloud Express II and Express III customers to generate more revenue from their online video initiatives. Video Cloud Express has been around for some time, enabling even the smallest of businesses to use video efficiently. And advertising capabilities have always been available for Express III through Brightcove's partnership with Tremor Video. But until now, there weren't any options for Express II customers, and there was no ability for Express customers to sell their own ads. Today's announcement changes all that. First, users of Express III will notice right away that there are two additional ad sources available in the Video Cloud Advertising Module: OpenX and DFP. OpenX is a free, open source ad serving system that anyone can download and install to run their own ad server. DFP Small Business is a free, hosted version of DoubleClick for Publishers, the leading ad serving solution from Google. Second, users of Express II can request access to the Video Cloud Advertising Module from their Brightcove account manager. 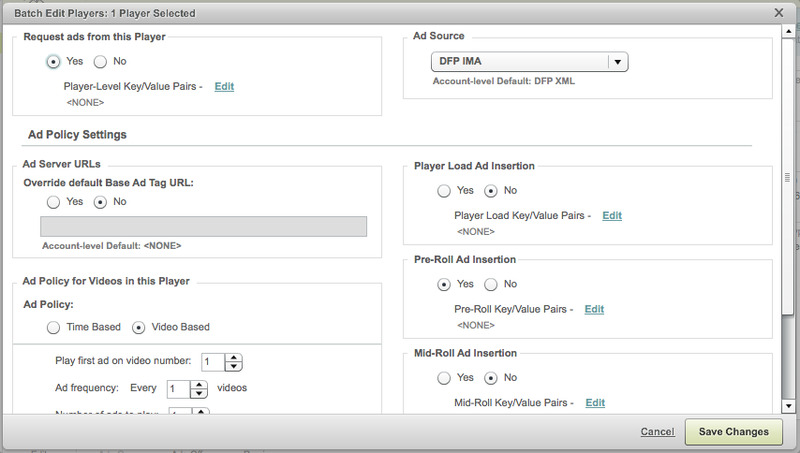 Once enabled, the ad module allows your video players to make ad requests to DFP Small Business. This means that any business can now sell their own advertising and serve ads into their Brightcove-managed video content. With Express II or Express III and DFP Small Business, Brightcove and DoubleClick are making huge strides to help you manage and grow your online video business. Want to learn more? Read more about the partnership with DFP Small Business here, read Google's blog post about the product, sign up for DFP Small Business and apply for access to the video features, or contact your Brightcove account manager for more information.